During forming in the pressing plant, the presence detection and the detection of the exact sheet metal position are required. 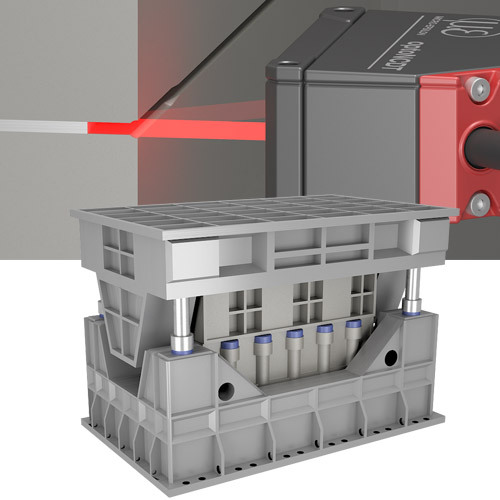 Therefore, laser triangulation sensors measure on the sheet between the dies. The challenge here is to achieve high measurement accuracy in tight spaces despite oil mist, vibrations and shocks. Since the measuring gap is very small, the diameter of the laser must be correspondingly low.